I am writing this here at 3:15 in the morning. You know why? I cannot sleep. I cannot sleep because I sleep too much during the day; duh!!!! I want to do something but I do not know what. I am on Disability due to many conditions; the worst one to me is either depression cause I have too much free time or I.B.S. Irritable Bowel Syndrome meaning that no matter what you do; you better not be far away from a bathroom in case you get an attack. I do like to write and am told I talk to much too. I take after my Aunt Vera whom has passed but she couldn't tell you anything unless she went around the bush, through the garage, and out the back door before she ever made her point. That is me. I am here at home all the time; except to go to the Waffle House for coffee. I love their coffee. Told them many times they should market it just like Dunkin Donuts and Starbucks. It is just my little getaway from the house. Don't get me wrong; I love my house and my two little dogs; but day after day after day, it gets to you. I am 57 years old since October and I still feel like an overgrown kid. When I have to show my driver's license; for instance, picking up a prescription, I tell them that is my info but it is my mother's picture that somehow got transposed onto my license. I can write about anything; mostly my collection is inspirational and religious cause I put God first in everything I do cause He is the only one whom has ever really loved me. If there is someone or something out there that would like to read my stories; let me know; but I must let you know I am not paying anyone for what I give them. If anything, they should be paying me. Don't you agree? Wendy: You are an inspiration.... great sense of humor for someone on disability! Keep up the good work! On Writing, if you were ever interested in writing about retirement, disability, life in general (real stories), you are welcome to blog on my site. I have several men who blog, no women.. wonder why? Grin! Look to the left under Retiree blogs, click... and you'll see the guys blogs near the top. 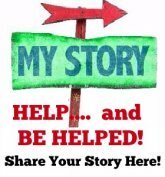 Click and see what they are doing and what they had to say... if you'd like to share your life the same way, I'd love to share your thoughts on retirement and life with disability!